What’s a good way to find affordable treatments, and/or do you know of any money-saving tips? Asthma inhalers may provide you with medicine that helps you keep your lungs open so you can breathe easier. However, it’s no secret that COPD inhalers can be very expensive. If your doctor requests you try an inhaler not covered by your insurance, that does not mean you should not try it. There are many websites meant to help you, such as medicarerights.org, medicaid.gov, gskforyou.com, healthfinder.gov, panfoundation.org, copays.org, and ncsl.org. For instance, when my insurance refused to pay for my Breo, I found a neat program where GSK gave me free Breo for a year. Keep in mind that the FDA strongly recommends that you only purchase inhalers from U.S. companies (if you live in the U.S.), or check out their webpage about how to get safe and legal medicine. If your physician has prescribed a pulmonary rehabilitation program, he/she would be the best source to get you started. Your health care insurance carrier and/or Medicare/Medicaid services may also be able to guide you. As well, your local health care facility may offer a program. Remember also to include your family, close friends and even others who suffer from the disease, who may be able to lend support and provide assistance. Having a chronic illness such a COPD can take a toll financially. However, there are ways to find affordable treatments and save money. Be sure to check out any programs offered by your local chapter of the American Lung Association; they offer many free programs – such as a Better Breathers Club. Many resources are made available to those that participate in such programs. Call your local hospital and ask for the Respiratory Department – they may know of local programs that aren’t always advertised. 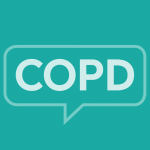 Do you have tips for saving money – either on COPD treatments, or in general when it comes to COPD? Please share your experience in the comments below!